As some of you may already know, I have been training with Nike and Faze Magazine the past few months. A couple amazing girls and I have been training for the Scotiabank Marathon in October. In addition to training weekly, we are hosting a special Nike event this Friday at the Nike store in Eaton Centre. Check out all the details below!! 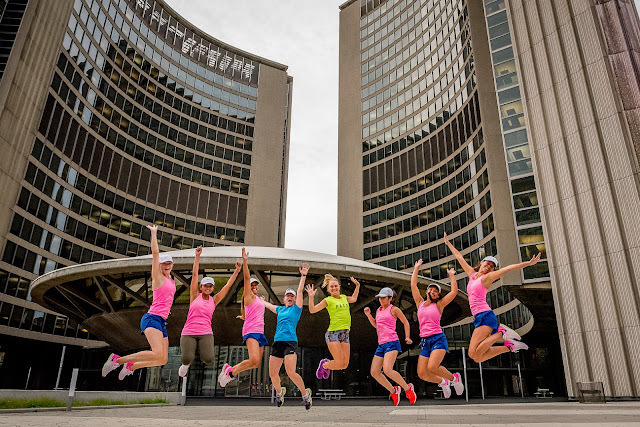 On Friday, August 26th, Faze Magazine invites all the ladies to an exclusive event at the Nike Running Store in the Toronto Eaton Centre to experience the best of Nike+ services and newly released innovations. As a part of your shopping experience, you’ll get treated to expert advice from Nike Master Trainer Eva Redpath, meet the stars of the Faze Running Team, receive Nike expert assistance with footwear trialing and bra fittings and enjoy some energizing snacks and refreshments to refuel. Faze is also very excited to offer its attendees an additional 20% discount on any purchases during this event. Make sure to sign up (HERE) and join us for an athlete-inspired shopping event! Don't forget to sign up (here) I can't wait to see you guys there! !